attributed to waste. Wasted time, materials, labor, etc. The findings are more surprising than you would expect. 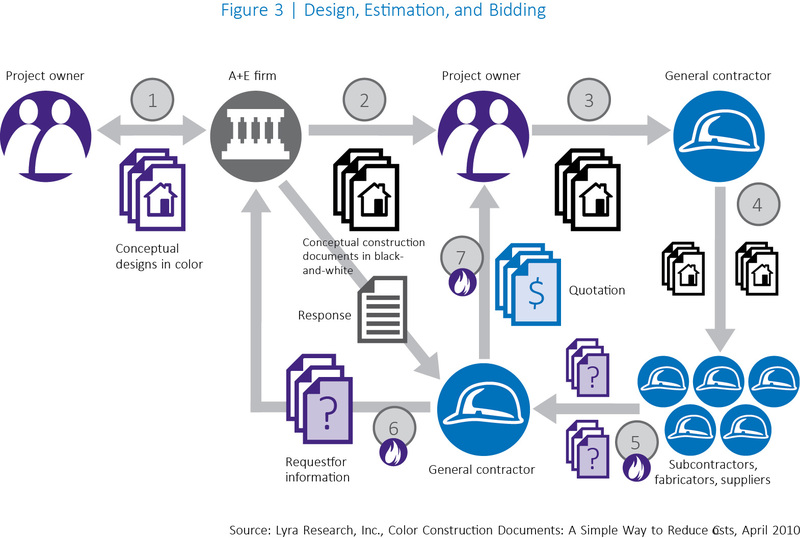 They found that “each incremental dollar invested in color printing can yield $4 in savings for a given project.” Their Design, Estimate, Bid flowchart outlines problem areas in the process. Read more about it in their PDF here.